– Odiorne today (3.5 trail and beach ). My legs are finally tired and ready for a break but I feel awesome! I decided there was enough content on this race alone that it warranted its own post. So here is my recap, a few days later, as the muscle soreness subsides and I am able to walk down stairs [almost] normally. I signed up for this race on impulse after completing the Runner’s Alley 10k training program and the Market Square Day 10K. I felt fantastic and was looking forward to longer distance. I managed to rope Katie and Tony in too. Bill and Meggan signed up as they usually do, so we had a nice little group. My training for this race consisted of almost no road miles. Good idea right? I ran trails all summer. The only exception was several 5ks, a 5 miler and one longer road run (Run for the Fallen) in Rye at 11.2 miles. That race left me sore and tired but I bounced back quickly. That was in September and definitely the last long road run I did before this race. Following the RFTF, I did a double loop of Northwood (11 miles) and the Vulcan Fury (11.6 miles of humid hell). 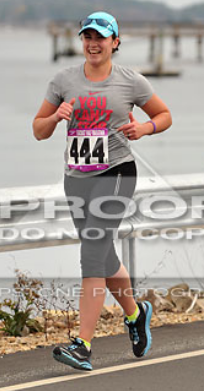 By the time this half marathon rolled around I had no nervous jitters what so ever. I conquered the Fury, this was going to be no problem. The day dawned cool and cloudy. Perfect! The gang loaded into Meg’s Jeep and off we went. Lise came along to cheer us on and later met up with Steve (Katie’s other half) to be our support team at Foye’s Corner. I went through my usual pre-race checklist where I stress over carrying water, which shirt to wear, which socks to wear, etc. I did leave my trail shoes behind for this one and wore my Kinvara 2s. Soon it was time to go. Katie, Tony and I lined up with the 10:00 mile pacer to start. BOOM! We were off! Within the first two miles we passed this pacer and moved on to the 9:30 pacer. I felt FANTASTIC! My legs were fluid and my breathing perfect. I chose not to carry water so I knew I needed to take advantage of every aid station (5 along the route). We hit Foye’s Corner and threw some clothes at Scott who was working the detail. Before getting there, I realized I could hear the roar of the crowd at Foye’s as far back at 1B. Very cool! On a side note, we scared off a guy before the 2 mile mark with our incessant chatter. He apparently couldn’t handle people having fun while running! Katie and I cruised along at a great feeling pace (Tony wouldn’t tell us what it was) well past the 10k point. I had my first GU and a little Gatorade at mile 7 and we continued into New Castle. It was about this point Tony started having foot problems. His Newtons were not agreeing with his trail saavy feet. I also had a small little twinge in my left calf that never got any worse. Katie and I continued to cruise through New Castle. 1B is very deceiving as it is the start of the rolling hills part of this course. You continue to slowing gain elevation as you leave New Castle and continue towards the finish line. At about mile 12, Katie entered the dark place and I took off. Or at least that is how Tony describes it. In my version, I found the dirt shoulder by the South Street cemetary and kicked it into high gear for the last big climb up the South Street Hill and to the finish. I was feeling great. I had my last GU at mile 11 and it was kicking in. I had no idea how long I had been running but knew the end was near. So that’s it…. First and last pavement half marathon. My body was sore 24 hours later. Very sore. Way more sore than it had been after harder efforts off pavement. It’s bouncing back nicely, but certainly not worth the effort! 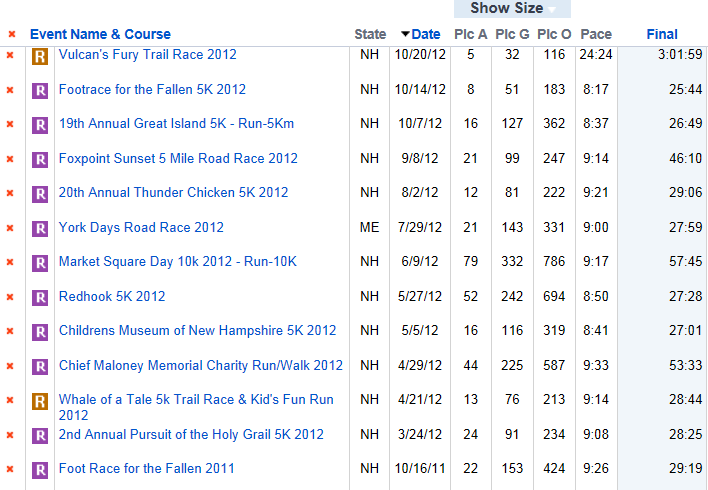 2012 Running Season in the history books! 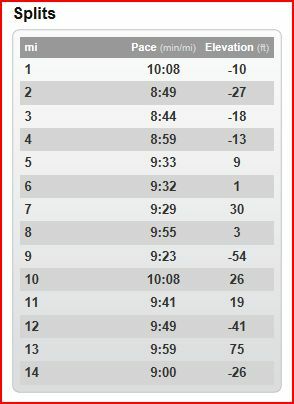 My race times consistently got better each time. My least favorite courses were Redhook (Pease is way too flat and boring for me) and the Thunder Chicken (also a bit boring, probably because I run these roads a lot for training). I had a wonderful time at the Maloney Run and that had been my PDR for the season until Market Square. I did fantastic at that 10K and even managed to catch Scott at 5.3 miles even though he sped away at mile 2. My PR for the year was my first repeat race… The Footrace for the Fallen in Manchester. I love the atmosphere at this race and the eats after. In 2011 this was my first 5K so I am also a little attached to it. I ran it in 29:19 in 2011. I was crippled for a week after that effort. I was plagued by severe shin splints at that time (and had been my whole life anytime I tried to run). I ran it in 25:44 this year!!!!!!!!!!! Not only was it my PR for 5k but I also shaved 3:30 over last years time! 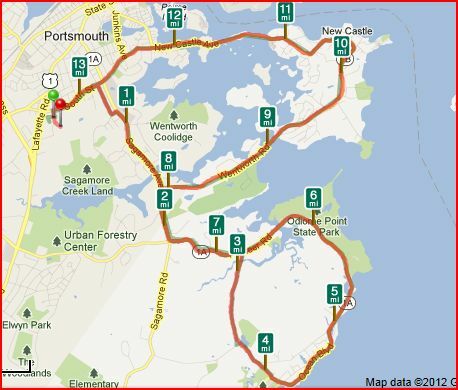 After the Market Square 10K, I immediately signed up for the Seacoast Half Marathon (11/11/12). I needed a goal to continue working towards and this seemed perfect, especially considering I was starting to figure out my comfort zones tends to take 4-6 miles to even kick in. I had done 11 miles for the Special Olympics Torch Run the week before the 10K as well and was in fairly good shape after it. I did come out of the end of 10k training with very sore calf muscles and they got about a month off as I backed my mileage down. Then a funny thing happened…. I ran my first loop around Northwood Meadows. 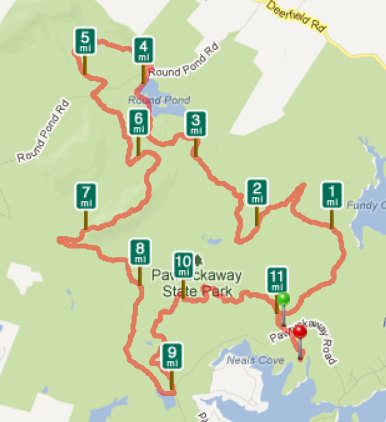 This is a 5.5 mile trail loop that starts with a gradually climb we call “F-U Hill.” That first loop was a grind. I walked a fair amount of it and was exhausted…. but I quickly fell in love with off road running. Suddenly I was asking myself why the hell we bother to run on the road! I found I could push myself much harder (to exhaustion and beyond) and wake up virtually fine the next day. No more calf muscle tears or funny pulling sensations in the back of my leg. My quads started to get stronger. I loved the wet sloppy and tricky conditions (most days). From August 2012-October 2012 I shaved 10 minutes of that loop. And also ran it twice. And backwards. And added other trail excursions. It was my new training ground. Scott and Katie joined me quite a bit too. Trail was becoming my “place” in the running world. I was much slower than I hoped to be (wanted to finish in 2:30). The weather was nasty though…. 60s with high humidity and it had poured monsoon style for a day before the race. Katie and I slogged through with Tony’s help and will definitely go back again. Between miles 6-7 we reached the top of the fire tower (about 800 feet in elevation at that point). I definitely want to run this as a training loop again very soon! Overall, I had a fantastic first “year” and cannot wait to run this winter in the snow. Snow racing? Who knows!!! I am so thankful for my Fish Fry teammates… I am also thankful for my husband that supports me regardless of not getting why we do this. Here is to next year!